WELCOME TO OUR BREWERY & TAPROOM! 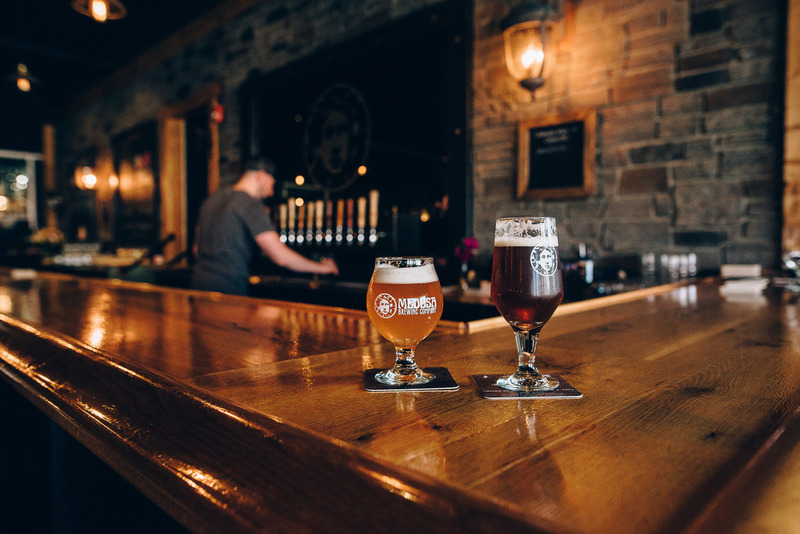 Medusa Brewing Company opened to the public in March of 2015 on Main Street in Hudson, MA. 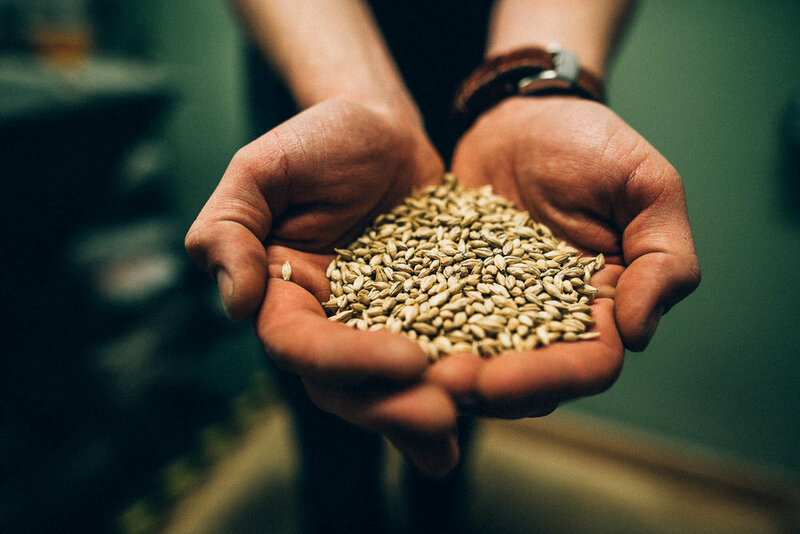 Since then, Head Brewer Keith Antul has been hard at work handcrafting ales and lagers that reflect the global landscape of beer. 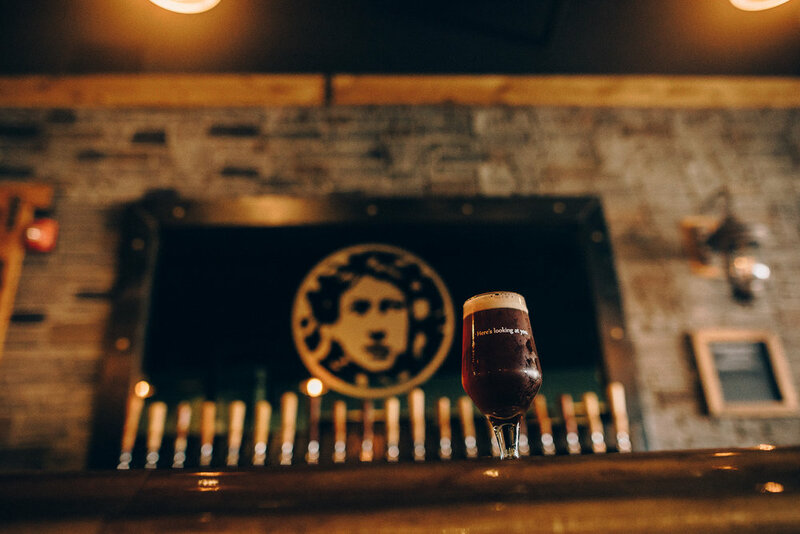 From beautifully constructed American-style ales to traditional European-inspired recipes, Medusa Brewing Company strives to provide for the ultimate variety in our draft selection. 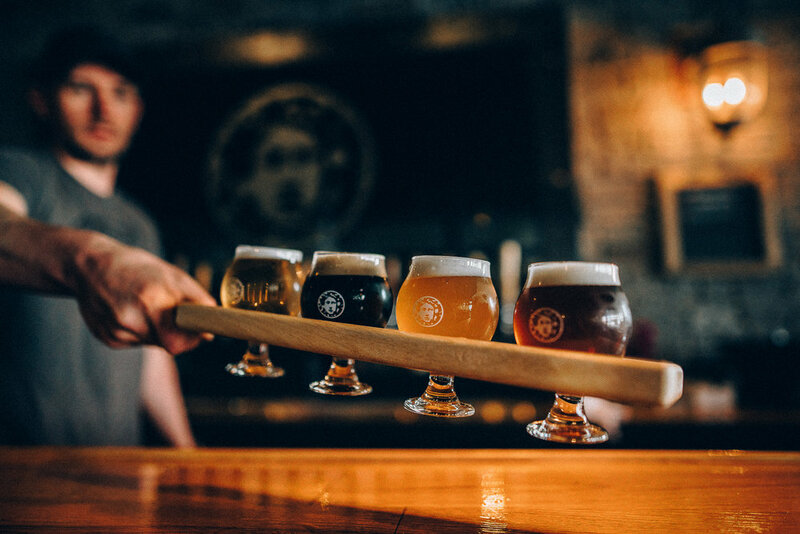 Our brewery and taproom are the result of a staggering, 15-month buildout that had owners and friends working around the clock to complete their vision. 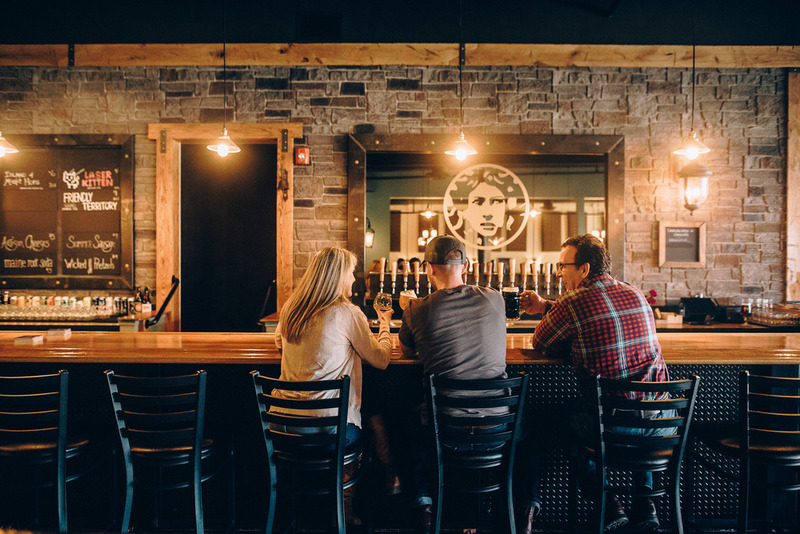 An enormous 50-foot bar constructed of salvaged steel and white oak acts as the centerpiece of the taproom. The Beer Hall provides for a more formal area where guests can enjoy full-service ordering while seated at hand-built mahogany wood tables. We invite you to come and enjoy what we have, and will continue to create. Cheers! Behind the scenes and in the spotlight, these are the individuals who make Medusa Brewing Company what it is today. Got electric? We've got you covered. The lot directly behind our taproom has a 2-bay Chargepoint charging station compatible with most EVs! From the North – Follow I-495 S to MA-62 E in Berlin. Take exit 26 from I-495 S and follow MA-62 E (Main St.) through the rotary. Medusa will be on the right side across from the church. From the South – Follow I-495 N to MA-85 Connector in Marlborough. Take exit 25A from I-495 N and follow MA-85 Connector and Washington St to Main St in Hudson. Medusa will be on the right side across from the church. From the East – Follow I-90 W to Marlborough and take exit 11A for I-495 N. Take exit 25A from I-495 N and follow MA-85 Connector and Washington St to Main St in Hudson. Medusa will be on the right side across from the church. From the West – Follow I-90 E towards Worcester and take exit 10 for I-290 E Worcester/Auburn. Follow I-290 E to MA-85 Connector and Washington St to Main St in Hudson. Medusa will be on the right side across from the church. Parking – Parking in Hudson is easy. On-street parking is ample, and a number of free municipal lots are available within walking distance of Medusa and the Downtown Business District. See the parking map for more details. Click on the Hudson Downtown Parking Map for details about parking in Hudson. BYOF – We utilize the Bring Your Own concept when it comes to food. Feel free to treat your visit like a picnic to the park, but with beer! There are many options available for take-out or delivery as well, so feel free to indulge in Hudson's culinary options during your visit to Medusa. Kid Friendly – While Medusa is a kid friendly establishment, we ask that you use your best judgement when planning a visit with children. At 6pm, we begin to follow a 21+ policy. 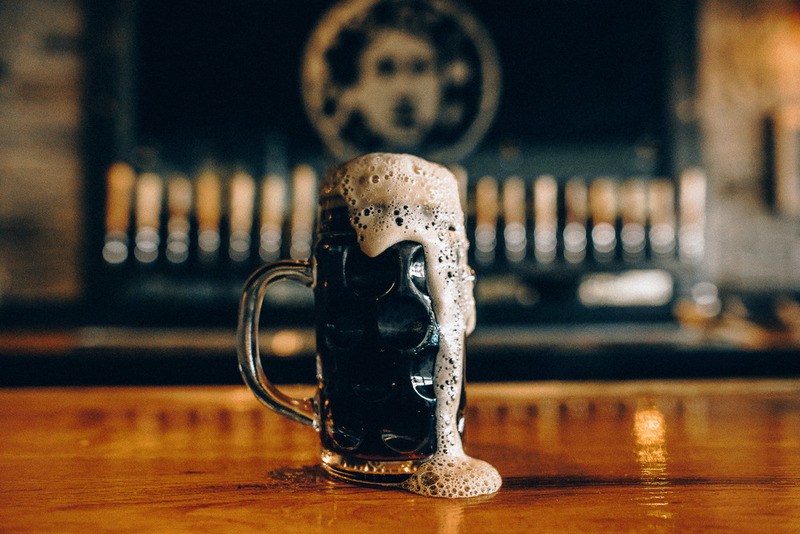 No Dogs – We previously attempted to maintain a "Dog Friendly" atmosphere in our taproom, but unfortunately a number of uncomfortable, unhealthy, and possibly dangerous experiences led us to end this offering. 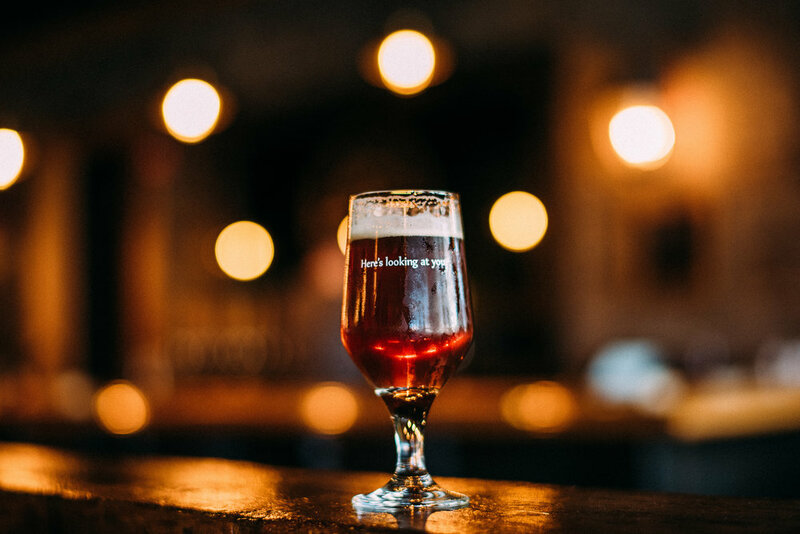 NO OUTSIDE ALCOHOL – While we do allow outside food to be brought in, the Town of Hudson does not allow alcoholic beverages of any kind to be brought into our taproom. This includes wine, beer, and spirits. Growlers – All of our beer is initially available in growlers as well as draft. Check our Draft List for current growler availability. In accordance with MA state law, we do not currently fill any growlers that are not our own. We do not allow filled growlers to be consumed on premise. Large Group or Event? – We like to maintain a first-come first-serve plan when it comes to seating at Medusa; however, we can work with you for accommodating special events/occasions for large groups. Use our Contact page for further inquiry. TAKE A TOUR OF OUR TAPROOM!